J.I. Packer became Professor of Systematic and Historical Theology at Regent College in 1979. In 1989, he was installed as the first Sangwoo Youtong Chee Professor of Theology. 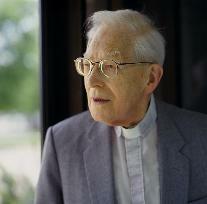 In 1996, he became Board of Governors’ Professor of Theology. J.I. Packer has preached and lectured widely in Great Britain and North America, and is a frequent contributor to theological periodicals. His writings include: Fundamentalism and the Word of God, Evangelism and the Sovereignty of God, Knowing God, Growing in Christ, Keep in Step with the Spirit, A Quest for Godliness, Rediscovering Holiness, Concise Theology, A Passion For Faithfulness, and Knowing Christianity. He is a member of the Editorial Council of Christianity Today. He was General Editor of the English Standard Version of the Bible, published in Fall 2001. Dr. Packer’s more recent publications include A Grief Sanctified, The Redemption and Restoration of Man in the Thought of Richard Baxter, Knowing God through the Year, Never Beyond Hope, God’s Plans for You, Faithfulness and Holiness, God's Will: Finding Guidance for Everyday Decisions (with Carolyn Nystrom), and Grounded in the Gospel (with Gary Parrett). His Collected Shorter Writings are available in four volumes, and a selection of his articles has been published as The J.I. Packer Collection. Dr. Packer is married with three children. His interests include music (Western classical and early jazz), railroads, and English cricket.